Heading to Wollongong? We can help you find a reliable and cheap car hire in Wollongong for your next holiday! Take advantage of our suppliers' excellent car hire deals and enjoy a worry-free, fun-filled holiday. Avis, Budget,Thrifty and Europcar have pick up and return depots at Flinders Street while Hertz is at Princess Highway. Why rent a car in Wollongong with VroomVroomVroom? Convenience: You may select which depot is best for you to pick up your car hire in Wollongong. 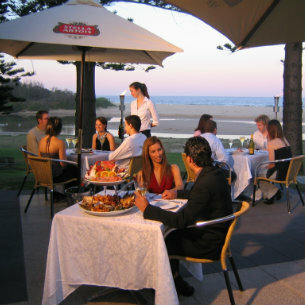 We have several pick up locations perfectly placed in and near Wollongong. Best rates: We have negotiated with our suppliers so we can provide the lowest price. If you find the same deal at a cheaper rate, we will match the price and give you $20! Read our Price Promise for more details. Excellent service: Our customer care experts are ready to help you find the best rental car and answer all your queries. Contact us now via email, phone, or live chat. You can also send us a direct message on Facebook and Twitter. Move your car hire and experience festivals and cultural events in Wollongong City. Due to its rich multicultural history, Wollongong City is home to many amazing and colorful events, such as festivals and cultural events. One of the most interesting events that takes place in Wollongong City every November, is the Viva la Gong Festival, where the activities consist of concert recitals, musical shows, food fairs and parades. Wollongong is just an hour car hire drive from Sydney Airport so it is recommended that you book a car hire to avoid being late for your flight out. It is also an hour drive south of Sydney. With a car hire to take you from point A to point B, you can definitely manage your own time and travel at your own pace. Make sure you keep to the speed limit. Check out Snarl for live traffic updates. Remember to find a petrol station and fill up the tank to avoid being charged at a much higher price for petrol. Where in the world can you hang glide, skydive, paddleboard or surf, and go for a mad biplane experience all in one place? Only in Wollongong! The city is packed with fabulous activities and tremendous attractions to satisfy any and all lifestyles. To make sure you never miss a beat, a Wollongong car hire is the perfect way to explore throughout the area and will definitely keep you on top of the fun. Modern, fascinating and beautifully intense, you're sure to have a memorable time in Wollongong as it's filled with a wide variety of affordable accommodations such as hotels, bed & breakfasts, apartments, cabins, hostels and camping options. In addition, there are adrenaline-pumping activities to do in and around Wollongong such as skydiving onto the beach, hang-gliding or paragliding. We put together a quick guide up to help you plan your visit in Wollongong. Bringing fitness and leisure together, are you ready to have fun and get fit? Alternative Fitness offers innovative exercise classes based around fun activities, such as trampoline fitness & Stand Up Paddle-SUP fitness, Pilates on paddle boards in Wollongong's beautiful harbour. Discover how effortless it is to fly as HangglideOZ provides the sudden excitement of tandem hang gliding from world-famous Bald Hill in Stanwell Park and Hill 60 in Wollongong. With more than 33 years of experience, Australia's most experienced Chief Flying instructor Tony, Armstrong and his team of instructors will assure your first time hang gliding is secure and unforgettable. Located at a distance less than two hours car hire drive from Wollongong City and Sydney, Illawara Fly Treetop Walk is one of newest attractions in the area. Its wonderful landscapes nested in the temperate rainforest, the beaten tracks that curve around the forest take you along the picturesque Illawarra cliff. Up there, you are exposed to a breathtaking landscape. The facilities here are diverse: coffee shops, souvenir shops and courtesy cars for the mobility impaired. 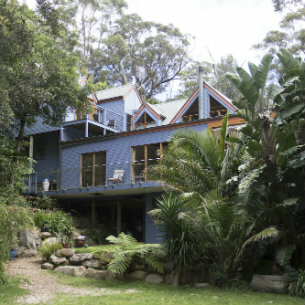 Get a taste of paradise when you stay at Ocean Blue Bed & Breakfast, which is just 50 minutes away from South of Sydney CBD and 30 minutes from North of Wollongong. This place is ideal for weekend or mid-week getaways and extended holidays. Its location right in the heart of Stanwell Park and easy access to the beach makes it a perfect accommodation for those who are looking for a relaxing vacation either with their special someone or with their family. Feel pampered with a full cooked breakfast served in the breakfast room, dining room or at their beautiful covered deck. Located on the beautiful beach, you can now enjoy the freshest seafood, including king prawns, local lobsters, Queensland mud crabs, Sydney rock oysters, local fish and scampi from the deep oceans of Western Australia, as well as the finest grain fed beef and poultry. Either you can choose to sit on the alfresco terrace, enjoy the fresh air and the lapping of the waves under Norfolk Pines or just sit inside and simply adore the beautiful view and the romantic atmosphere. Or perhaps, you might want to take a drink in the New York style Lounge Bar where the drinks list is broad with tempting cocktails, outstanding wines from all regions of Australia and an International Beer List. In the end, whatever the function, you can be assured that you will have your money's worth with the highest quality food, exceptional service, and you will be amongst the many who will come back again. Avis Wollongong - 47 Flinders Street, Wollongong, NSW. Budget Wollongong - 49 Flinders Street, Wollongong, NSW. Europcar Wollongong - 8A Flinders St, Wollongong, NSW. Thrifty Wollongong - 25 Flinders Street, Wollongong, NSW.